This year on Grandparents Day, more than 2.6 million grandparents were the primary or custodial provider of care for their grandchildren. A PEW research study estimates that one in every ten children in the United States lives with a grandparent. The research further indicates, for every one child placed in foster care being cared for by a relative, grandparents or other relatives outside of the system are raising another twenty. Children being raised by their grandparents is not a new phenomenon. Two former presidents and Oprah Winfrey were raised by their grandparents. What is new is the prevailing reason for the most recent raise in custodial grandparenting, the opioid epidemic and its traumatic impact on the American family. This workshop will address the challenges current day grandparents’ face raising their grandchildren while trying to care for themselves and maintaining a sense of family culture. This workshop will be facilitated through discussions, video clips, small group activities and short lectures. Understand the unique family systems issues that emerge as grandparents and other relative take on primary caregiver roles. Consider strategies for successful work with grandfamilies, particularly those traumatized by the opioid epidemic and poverty. Pat Parker, CSW, serves as pastor of the Craig Memorial Christian Methodist Episcopal Church in Milwaukee, Wisconsin and is currently a full-time Curriculum and Instruction Manager for the Milwaukee Child Welfare Partnership for Professional Development located in the Helen Bader School of Social Welfare at the University of Wisconsin - Milwaukee. Patricia received her degree in social work from the University of Wisconsin-Madison and graduate certificate in Community Mental Health from the Trinity College of Vermont. 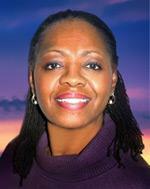 Ms. Parker has been conducting workshops and seminars since 1986 and is a popular conference keynote presenter. The topics she presents on are: Strength- based Culturally Competent Social Work Practice; Social Work Ethics and Culturally Competent Practice; Reducing Racial Disproportionality and Disparities in Child Welfare and Juvenile Justice; A Cross Systems Approach to Reducing DMC. Ms. Parker has expertise in family-centered practice models and services to incarcerated individuals and their families. Topics she has trained or provided technical assistance on are: family centered case management and supervision; family and community development; diversity and spirituality in family centered practice; foster care recruitment and retention; foster and pre-adoption parent preparation; quality assurance models in social work practice, and services to drug and alcohol affected families. Ms. Parker has over thirty-eight years of experience working in the human services. She has provided in-home family therapy, individual therapy, group therapies, strength-based community development and other human services in Wilmington, North Carolina, Milwaukee and Madison, Wisconsin. She has worked in both public and private agencies; and provided consultation, technical assistance, and training services in 30 states across the country. Ms. Parker serves as a volunteer Chaplin at the Robert E. Ellsworth Women's Correctional Facility in Racine County, Wisconsin and has since 1993. 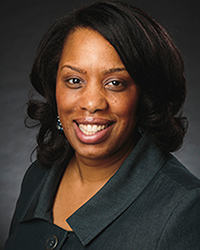 Marla Seay is one of the Relative, Adoptive and Foster Training Managers with the Milwaukee Child Welfare Partnership program through the UW-Milwaukee Helen Bader School of Social Welfare. Marla has conducted workshops and training sessions for the past 15 years. Some of topics she has presented on are engagement within the child welfare team; healthy choices and healthy relationships; ethics and boundaries for social workers; family dynamics and family connections; independent living skills for youth; trauma informed care to foster children; and various parenting related topics for relative, foster and pre-adoptive parents. Ms. Seay has extensive experience in family-centered practice and supervision; faith based community development as well as community resource connections for families. Ms. Seay has a Bachelor of Science degree in Psychology and a Master of Science degree in Guidance and Counseling with one year of postgraduate work completed to become a Marriage and Family Therapist through Family Therapy Training Institute (FTTI). In addition, she is a certified social worker with the State of Wisconsin. Marla’s personal life has paralleled her professional life. She was adopted through Children’ Service Society of Wisconsin at the age of two months; as well as she and her husband were the legal guardians to two nephews for 10 years. As a result, she strives to assist social services related professionals advance their skills in order to partner with families and help them achieve their family goals.